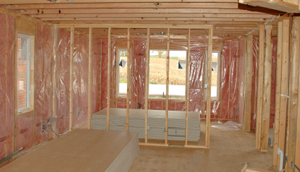 Here at Arango Insulation, we know how important it is to get your projects completed on time. With budgets getting smaller and jobs getting scarcer, you can’t afford to go past your deadline. That’s why we provide timely commercial wall insulation products a nd services for jobs of all sizes. With products from top brands such as Owens Corning, Icynene, and Johns Manville, you can rest assured that you will receive nothing but the highest quality materials, from foam wall insulation to cavity wall insulation and much more. Our quick turnaround times mean we are often on site the next day and can often complete our job within three days, helping to ensure you pass inspection on time. Contact us today for more information about our commercial wall insulation products and services and how we can help you complete jobs in Texas, Alabama, Georgia, and throughout the Southeast. We also perform commercial roofing services.